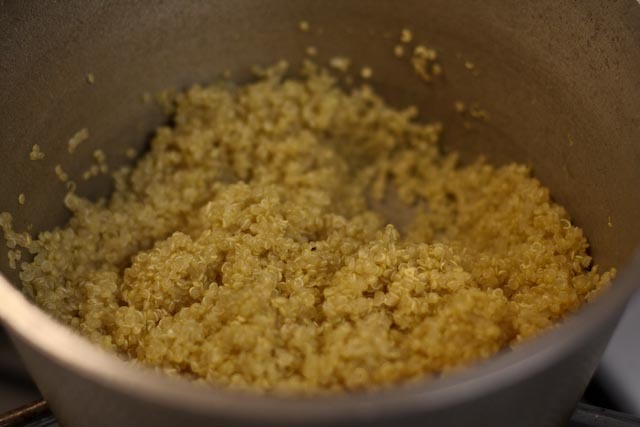 On one of those evenings when I was stuck pondering what to make for dinner, I made up this recipe for a savory yet slightly sweet and hearty quinoa side dish to go alongside chicken and vegetables. 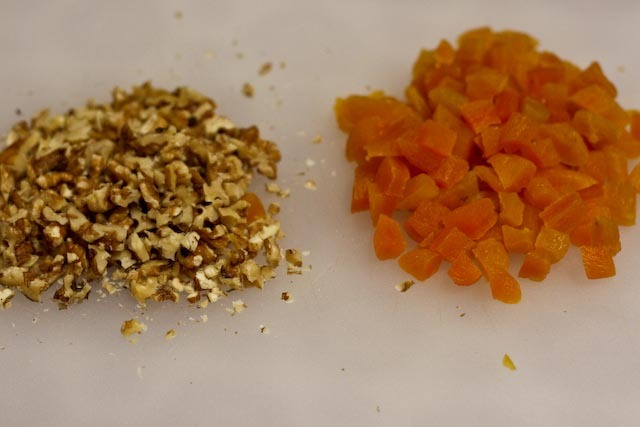 While the ingredients seem a bit strange as a combination, the flavor was amazing! 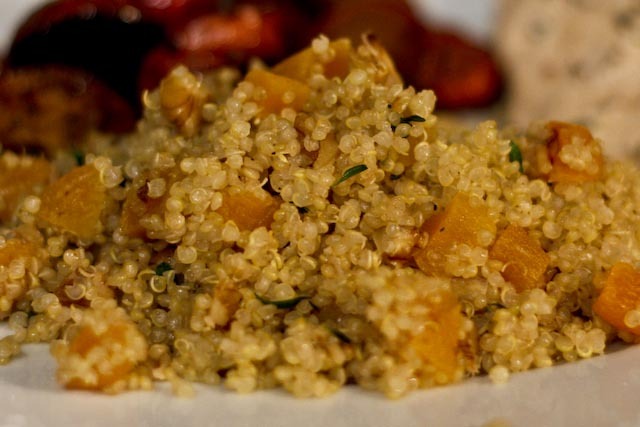 Quinoa is a super food with lots of nutrition benefits, and it provides complete protein nine essential amino acids. And the walnuts add even more protein. You almost don’t need a meat to go with it! A quick kitchen storage tip – if you’re worried about (or suffer from) pantry moths (the little devils! 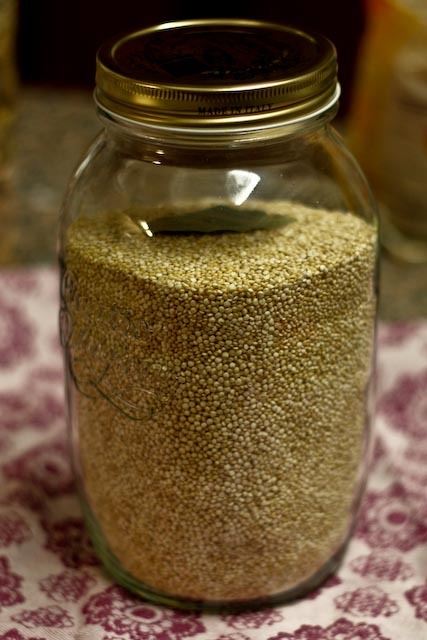 ), store grains like quinoa, rice, or barley in an air-tight container with one or two bay leaves. Apparently, the moths don’t like them and the spiced leaves help keep the critters, well, at bay! 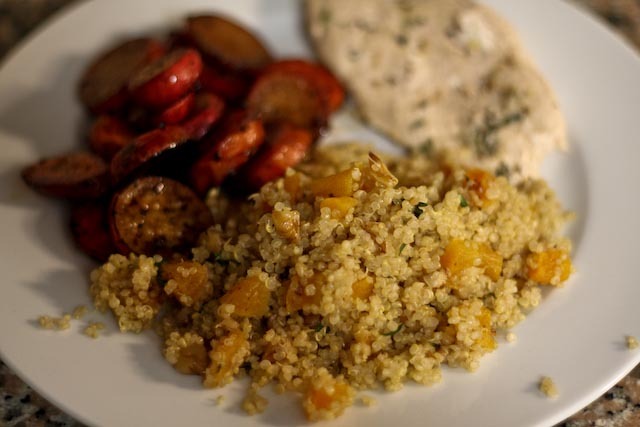 I mixed into the quinoa dried apricots, walnuts, and fresh thyme leaves – yum! 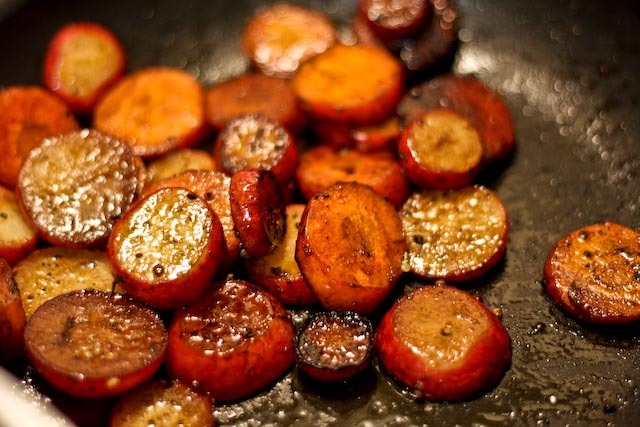 I served it up with some balsamic glazed carrots and radishes. In a saucepan over medium-high heat bring the broth to a boil. Reduce the heat and add the quinoa. Cover and simmer for about 20 minutes or until the broth is absorbed and the quinoa is plump. 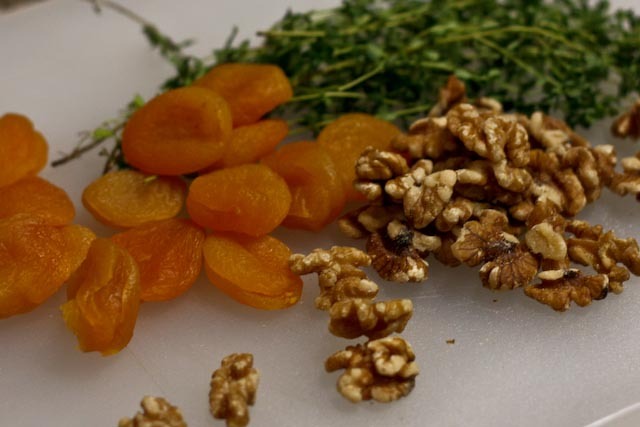 Fluff with a fork and add the apricots, walnuts and thyme. Season with salt and pepper to taste and drizzle with a bit of olive oil. Toss again with a spoon and serve warm. I’m absolutely making this for dinner tomorrow night! It’s pretty yummy, I’m not going to lie. Enjoy! I love this! 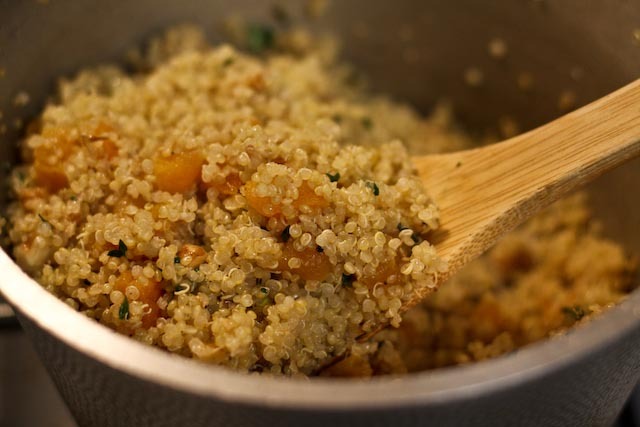 I have not used apricots in my Quinoa but why not? With the walnuts, I think you have hit this one out of the ballpark. 🙂 What a healthy and delicious way to eat.